Additional Info: Lovely distant Sea View over the Bay and sea from the lounge and the veranda. £50 deposit secures a booking. Balance due not less than 56 days prior to the holiday start. Deposits are not refundable, however, we will endeavour to re-let the dates and if so, refunds may be paid, less any possible losses incurred. 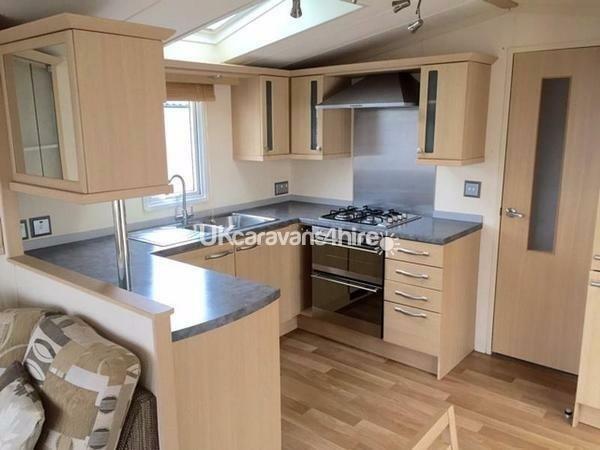 This is a large, luxury caravan for hire on one of the best Parks in Devon for scenery, walks and something for everyone, whatever age. 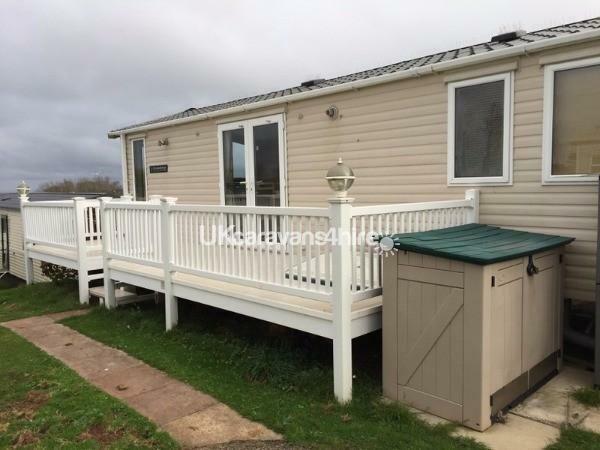 The caravan is close to all the amenities at South Bay and enjoys an elevated position with lovely views over the Bay and sea from the lounge and decking area. 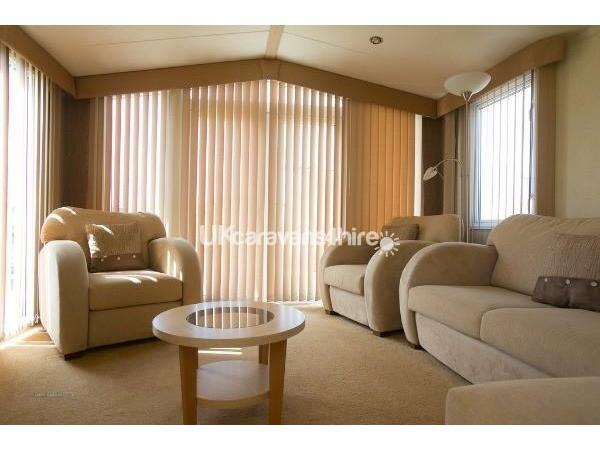 It has a large lounge with free-standing furniture, full length windows and a wall mounted free-view, 40"TV with DVD. 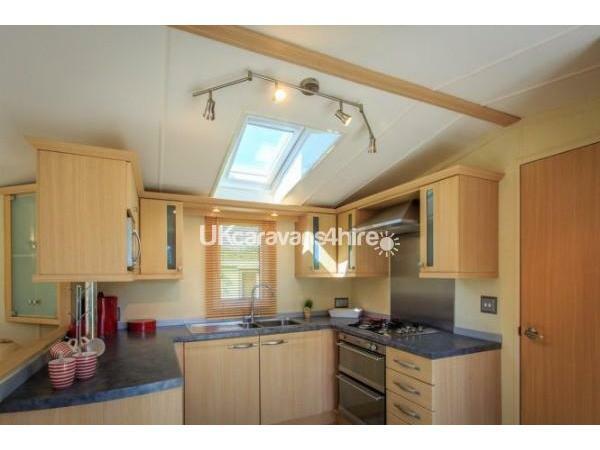 A generously sized kitchen with a cooker plus extractor and everything you would expect in a modern kitchen, plus microwave and built in fridge-freezer. 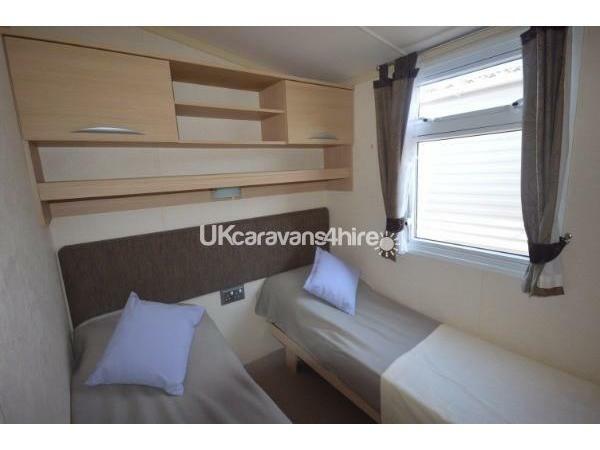 There are two bedrooms and a pull out bed in the lounge, so capacity is 4-6. The pull out bed is a small double and is not recommended for adults or heavier persons. 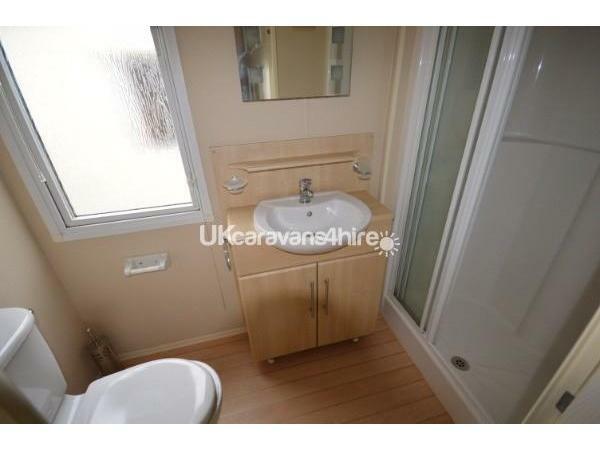 The main bedroom has a king size bed, plenty of wardrobe space and an en-suite toilet and wash hand basin. 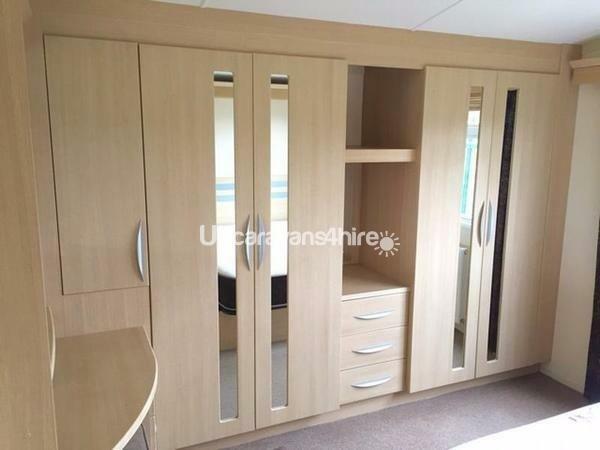 The second bedroom has twin beds which could be moved together to make a double. There is a large shower in the main shower room. Brixham is within 1 mile, with Paignton and Torquay also a short drive away. 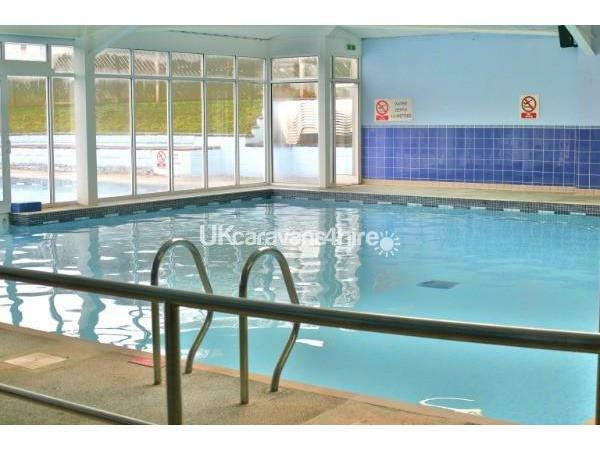 A Heated indoor/outdoor swimming pool. Clubhouse with Bar, entertainment for all ages starting from 6pm and including the 'Foxy' club with some daytime activities. The closest beach is St Marys Bay. This is a lovely unspoilt beach but has no toilet or other facilities and can only be accessed by a significant number of steps. Other beaches with facilities (and awards!) 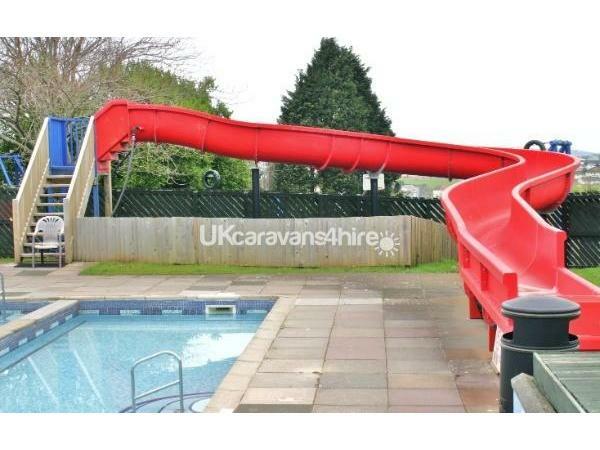 are just a short drive away at Broadsands and Goodrington, which also has a Waterpark. There is so much to do in the area and you can enjoy exploring. 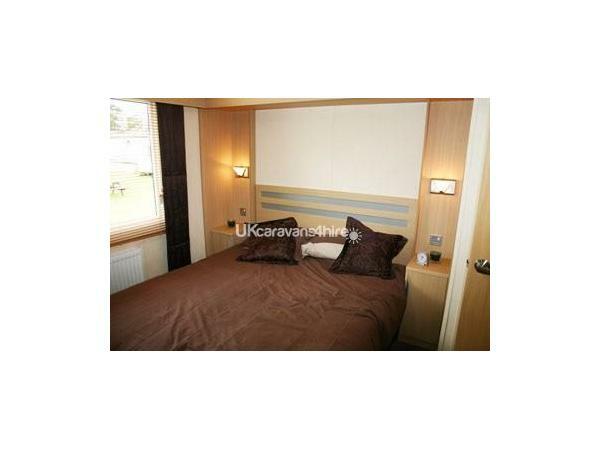 There is an information folder in the caravan and Reception also has many leaflets to help you decide. Eating out in Torbay is very reasonable and varies from cafes to some of the best restaurants. Sea food is a speciality! Don't miss visiting Dartmouth (by car or steam train), Brixham, Paignton or Torquay. They are all close by. Further afield are Dartmoor and some lovely places to explore. The ferry from Brixham to Torquay is a nice 30 minute sail across the Bay and a bargain at £1.50 each way. Relax or be active, you can decide for your self in Devon! Additional Info: Passes included in hire cost. No reviews found. 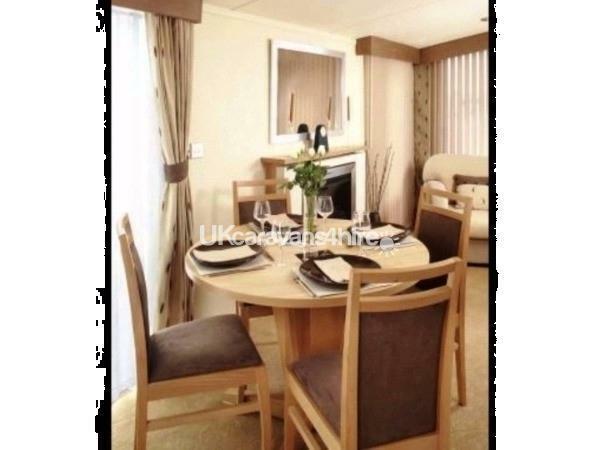 If you have recently stayed in this holiday home please leave a review, it only takes a few moments and will really help future guests when they are searching for holiday accommodation at South Bay Holiday Park.